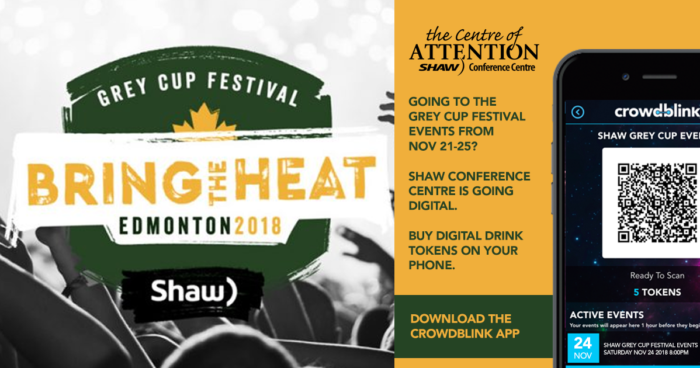 This November, the biggest party of the year is coming to Edmonton – the 106th Grey Cup and Grey Cup Festival! 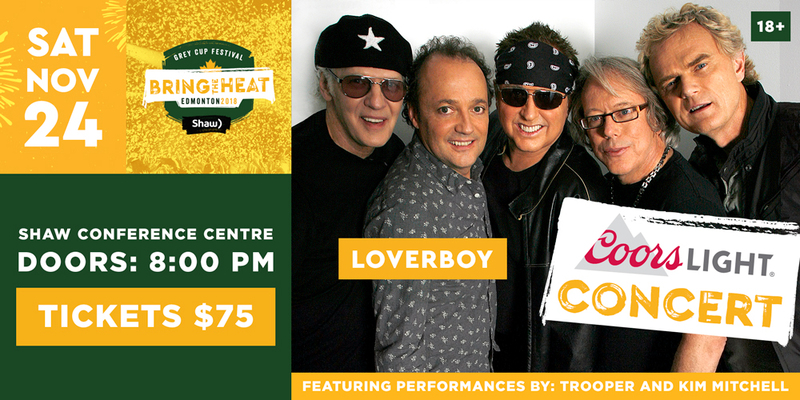 One of the biggest parties of the week is the Coors Light Concert featuring Loverboy, Trooper, and Kim Mitchell. Loverboy is a Canadian rock band formed in 1979 in Calgary, Alberta. Loverboy’s hit singles, particularly “Turn Me Loose” and “Working for the Weekend”, have become arena rock staples and are still heard on many classic rock and classic hits radio stations across Canada. Trooper Trooper is Canada’s oldest and coolest rock band. Multi-award winning, multi-platinum selling, still selling out shows and traveling coast to coast. Canadian rock icon Kim Mitchell is a singer-songwriter and guitarist who achieved gold and multi-platinum sales status over a long and storied career, starting early on as leader of the musically eclectic Max Webster, a band who in the late 70’s defined “alternative” and “independent” long before the words became clichés. Tickets are $75 (plus GST and fees).